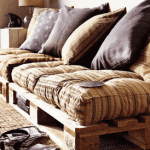 Are you living in a small apartment? Or want to have fresh herb during whole yea? 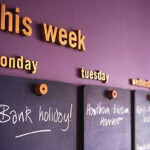 Well here is a solution just for you. 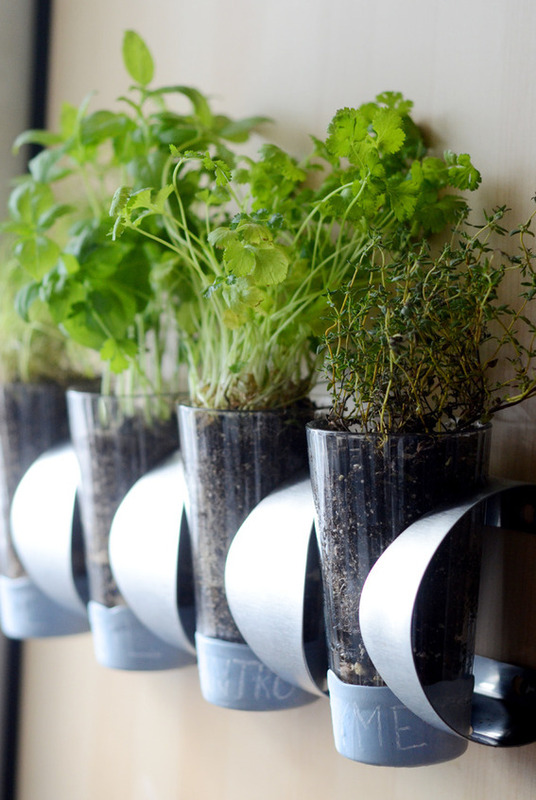 Check these 19 amazing indoor herb garden ideas. 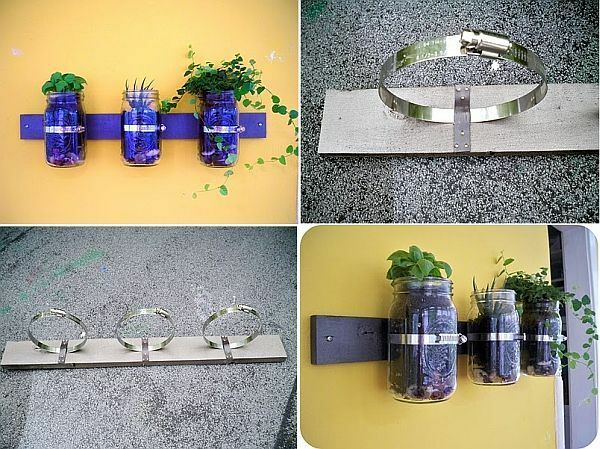 Wall mounted jar planters. 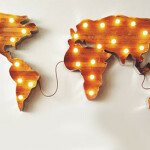 For those who have a lot of indoor light. 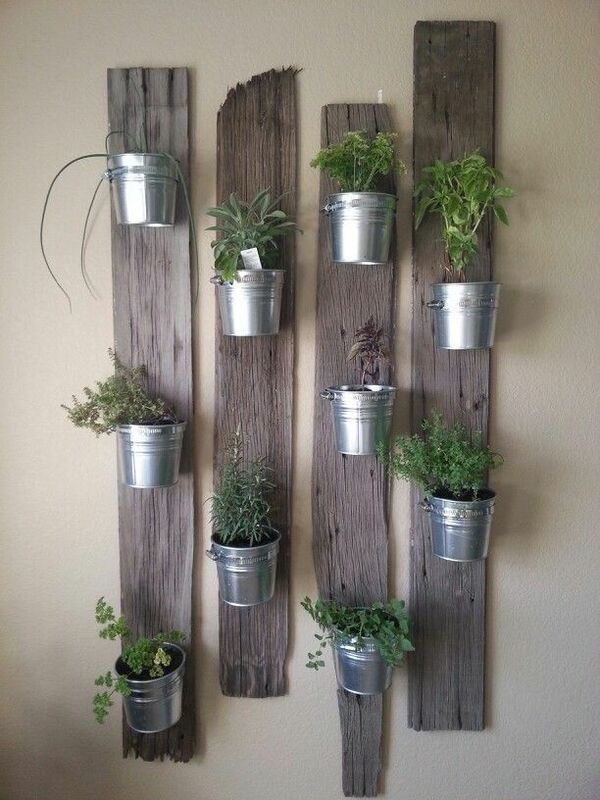 Hanging herb garden made of flowerpots and wooden planks. A bit more advanced, but still doable at home herb garden made of wooden boxes that are connected by a hose. 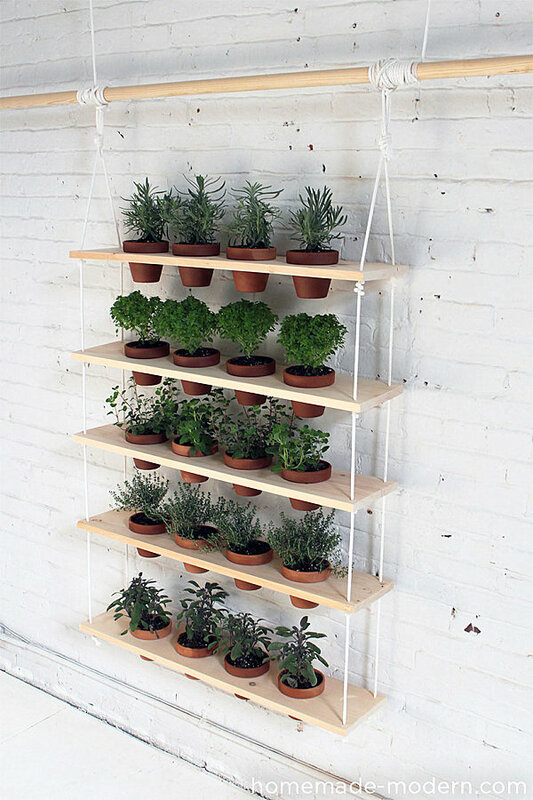 Hose provides watering for all herb plants. This way there’s no need to water every planter one by one. Do you still have that old palette? It’s time to use it for a better purpose. This is a custom made indoor garden. 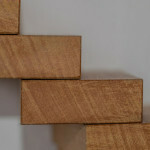 Construction is really simple – 3 triangles on one bigger plank to hold them. 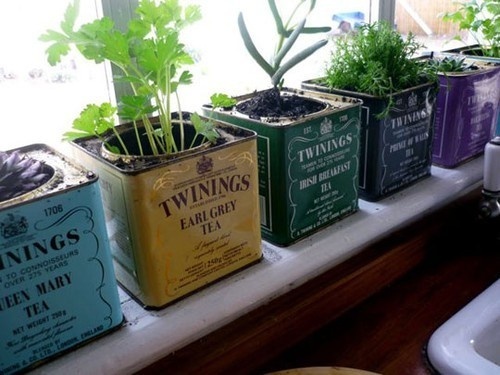 Do still keep those tea cans? 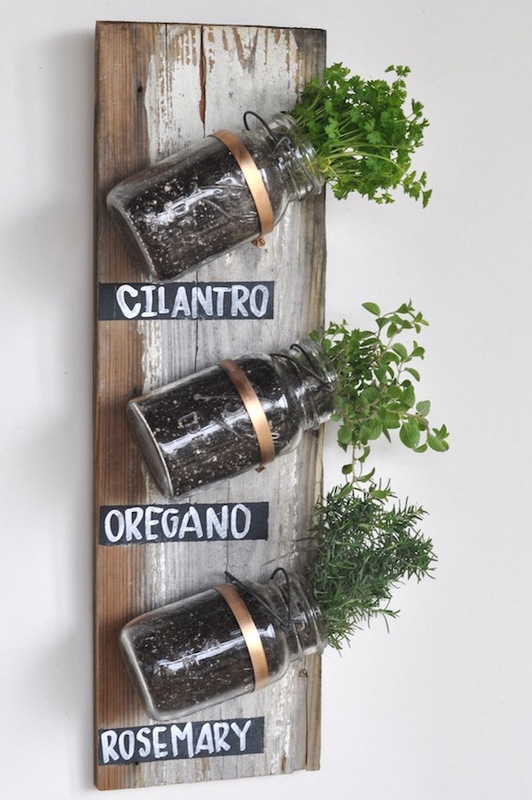 Now here is a great way to use them as a herb garden. 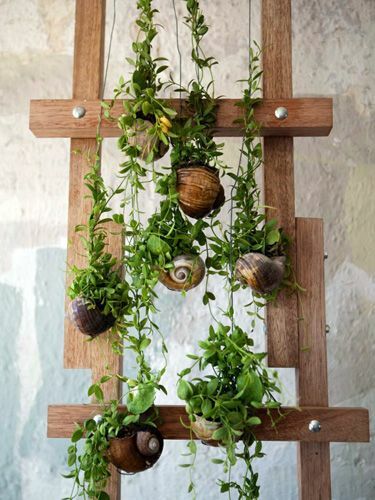 One of the most unusual indoor garden is made out of snail homes. 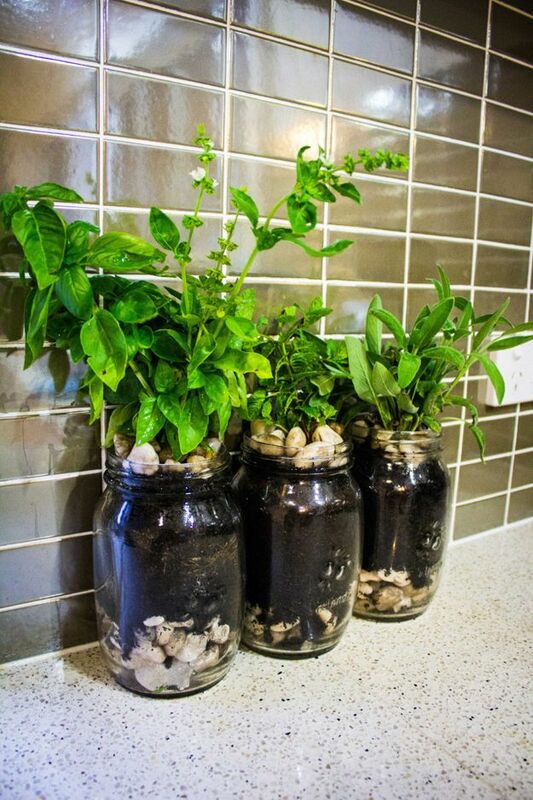 The most simple way – take a jar, add some small rocks on the bottom, fill it with dirt and plant a herb. Viola! 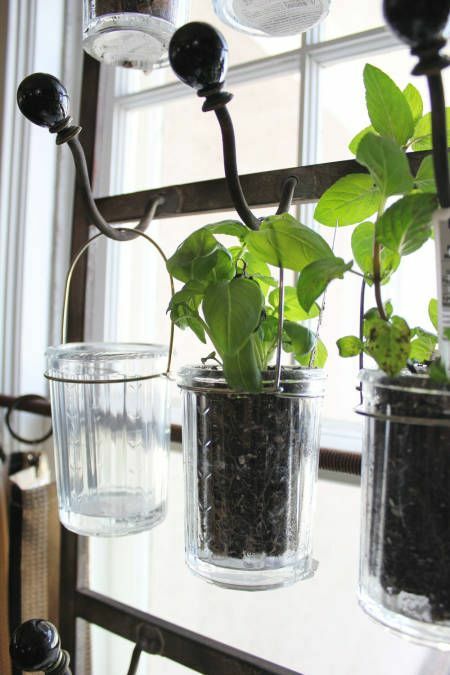 Self watering planters. They are taking as much water from below jar as way require. 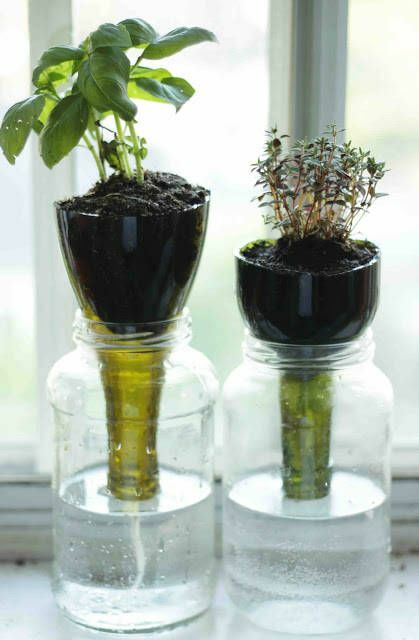 This way herbs are always watered and there’s not a lot of attention required. IKEA’s VURM wine rack and a few clear tumblers. 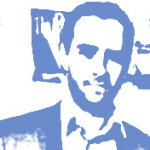 Can it be more simpler? 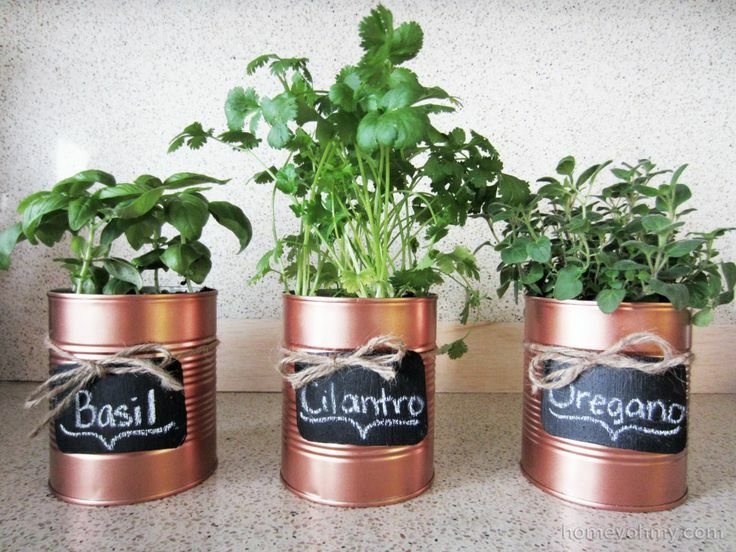 Don’t throw away every tin can. 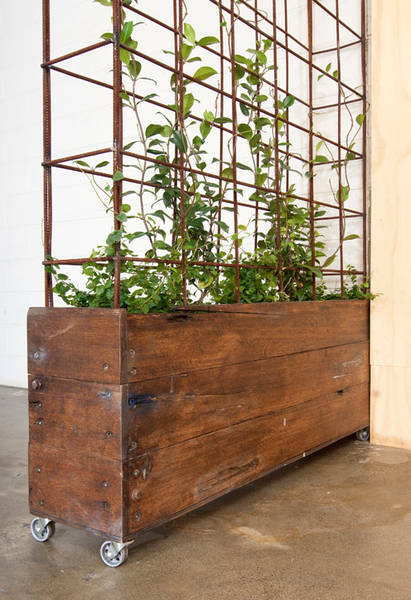 Every one of them can become a beautiful herb planter. 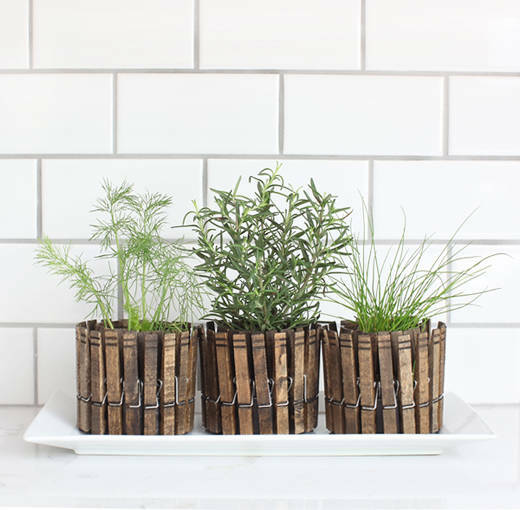 Just love those small buckets attached to old wooden planks. 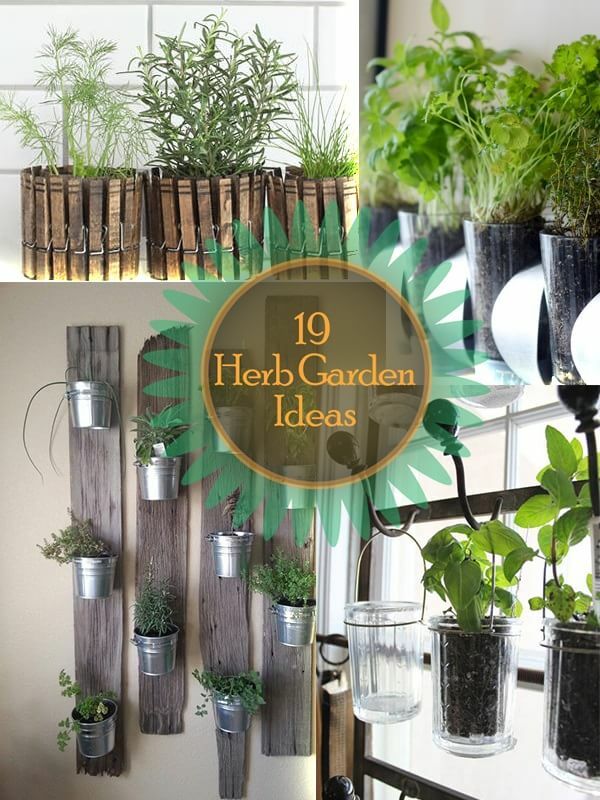 This herb garden can be a little more skill demanding, just to hang every jar in a right height. 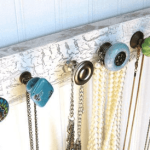 Reuse your old clothes rack. 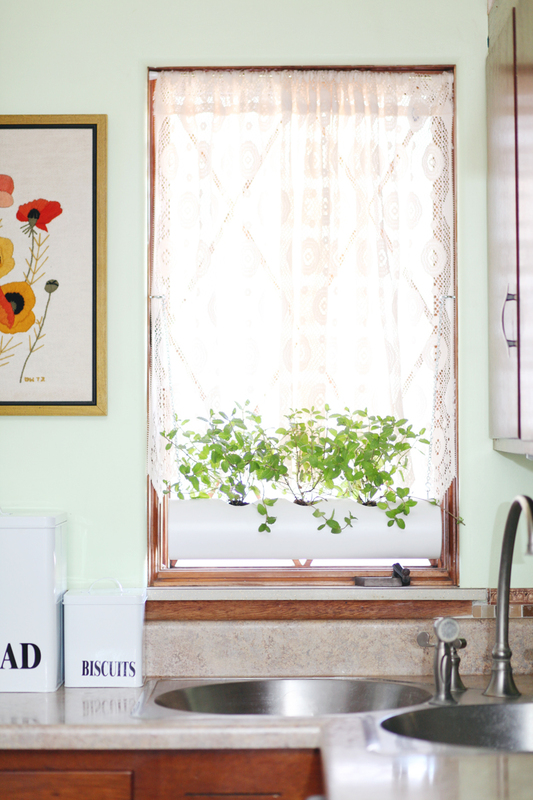 Hang some planters and create your ever green indoor garden. 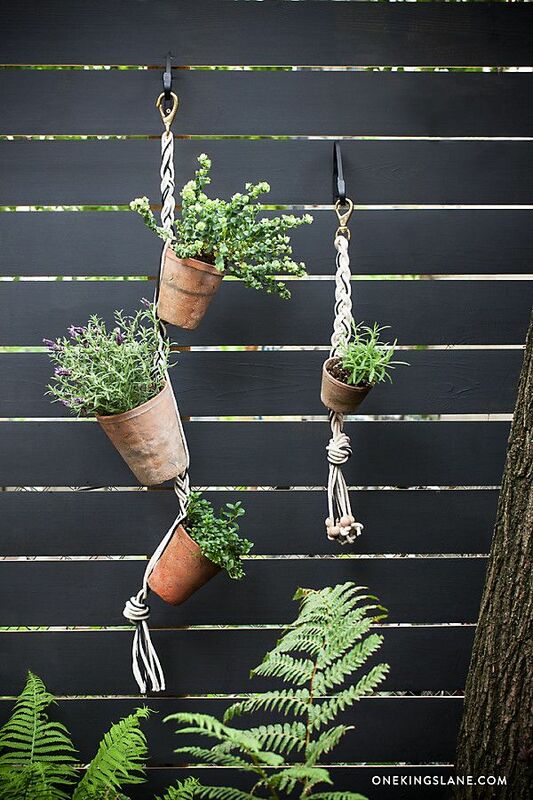 Hanging flowerpots. Drill a hole in a bottom and connect all of them with a rope. Have you got any more of those tin cans? 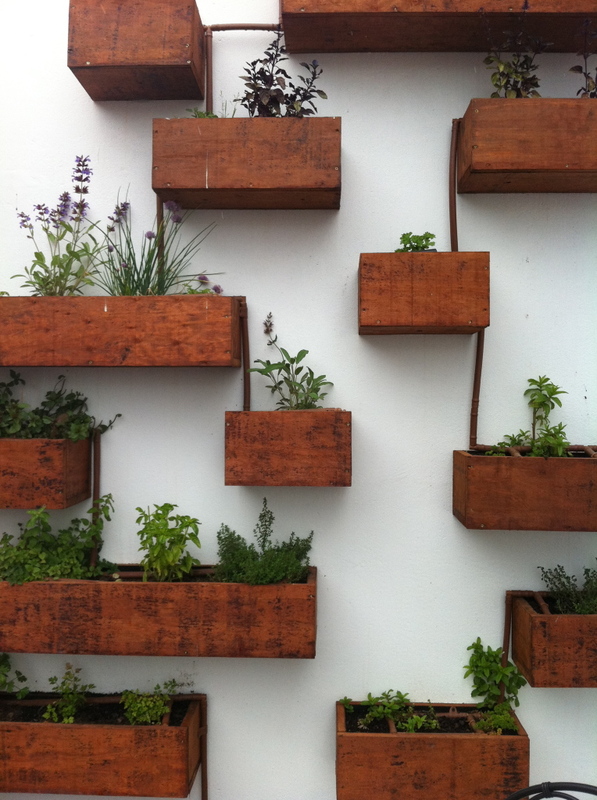 Buy some bronze/gold spray and create good looking herb garden. 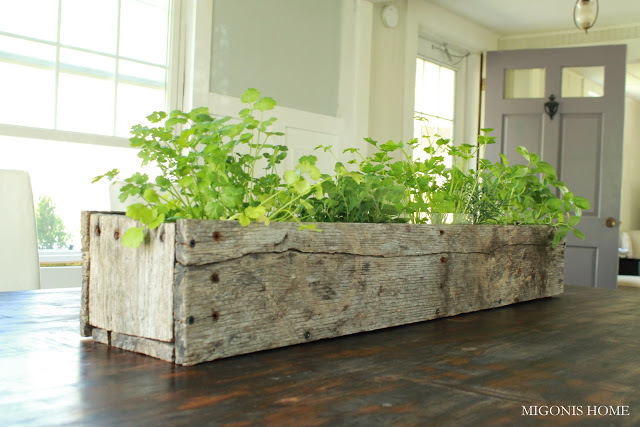 Huge indoor herb garden, that can also be rolled outside during warm season. 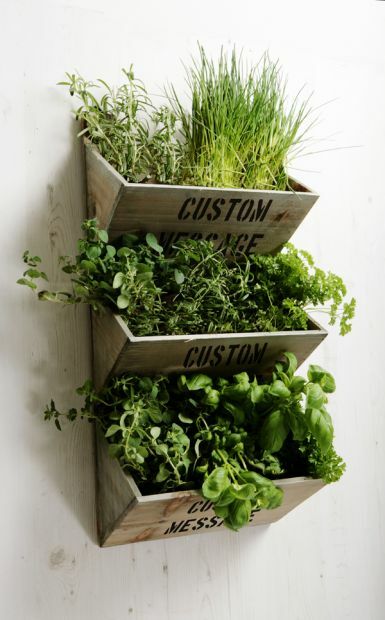 For those who are obsessed with fresh herbs and have a lot of space inside. 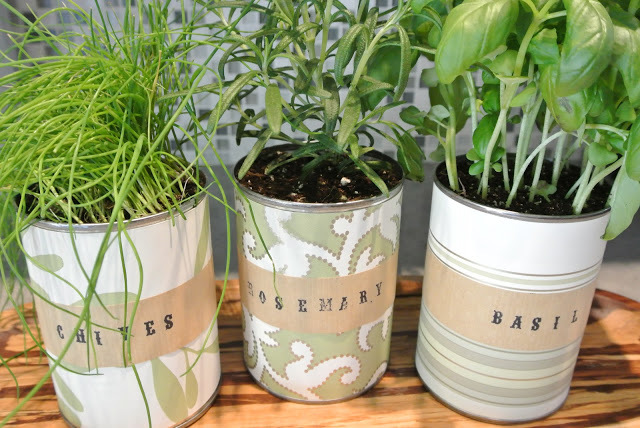 Cut tin cans in half. Pin around the edge with linen pins. That’s it.